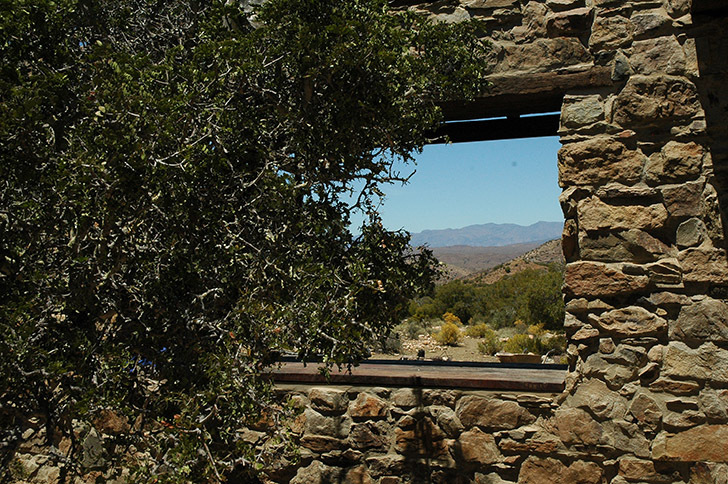 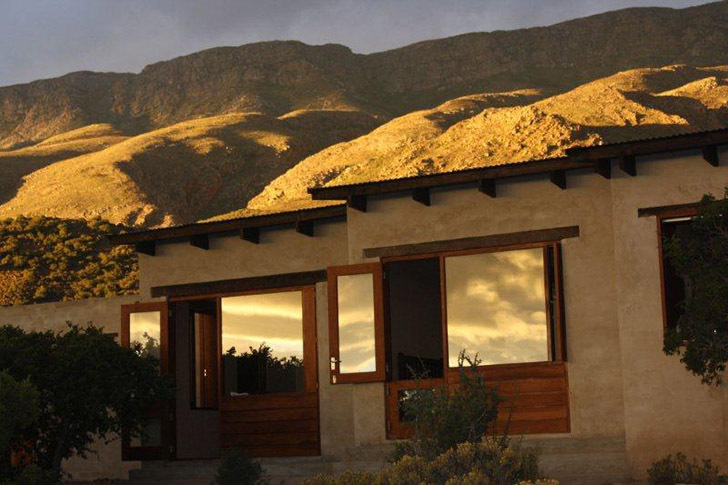 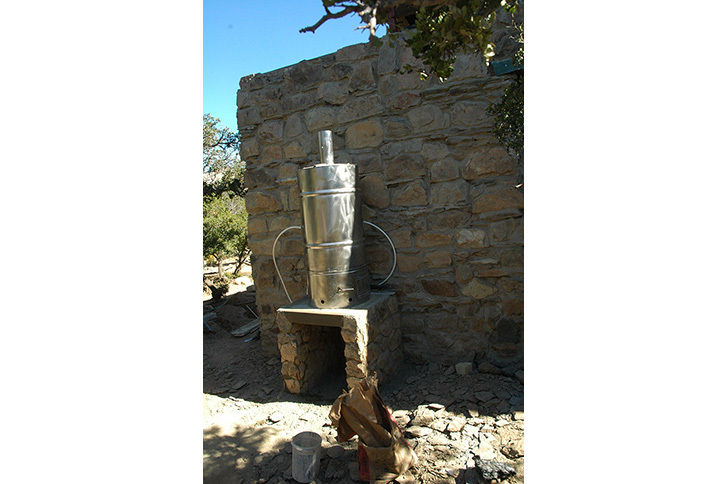 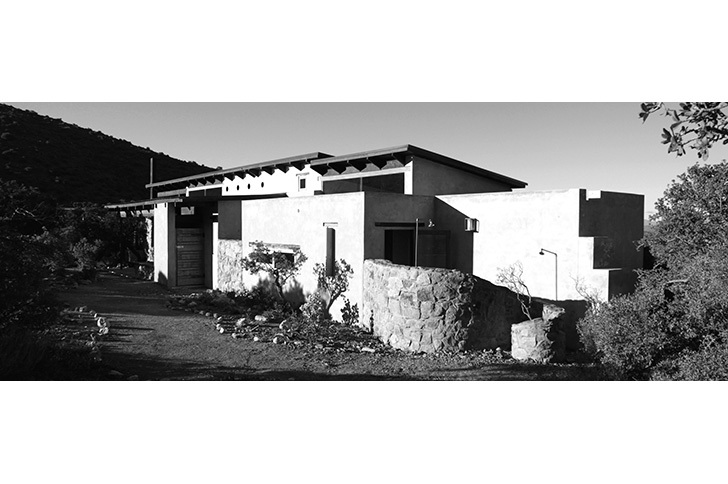 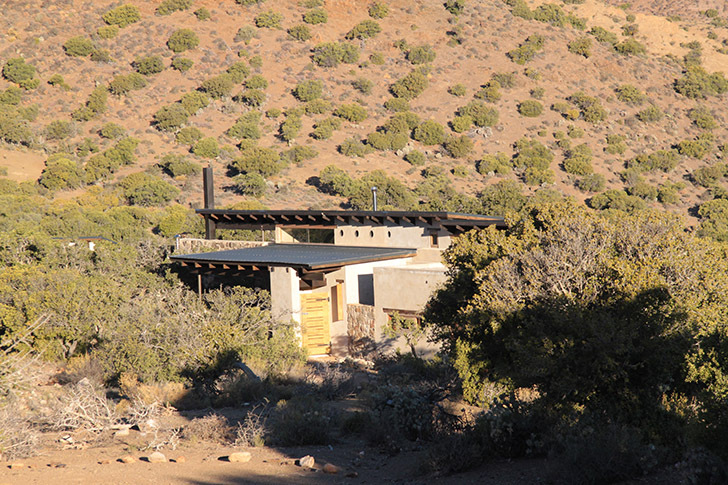 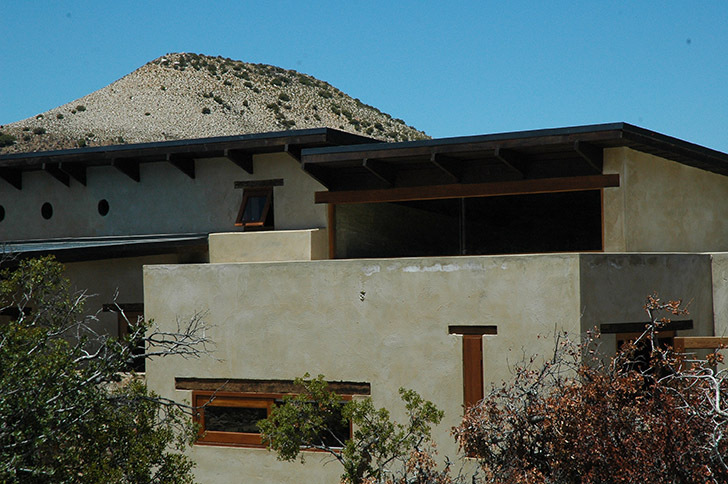 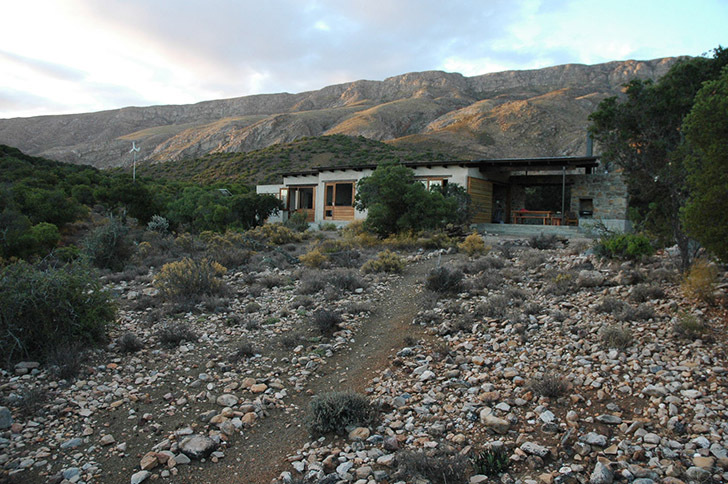 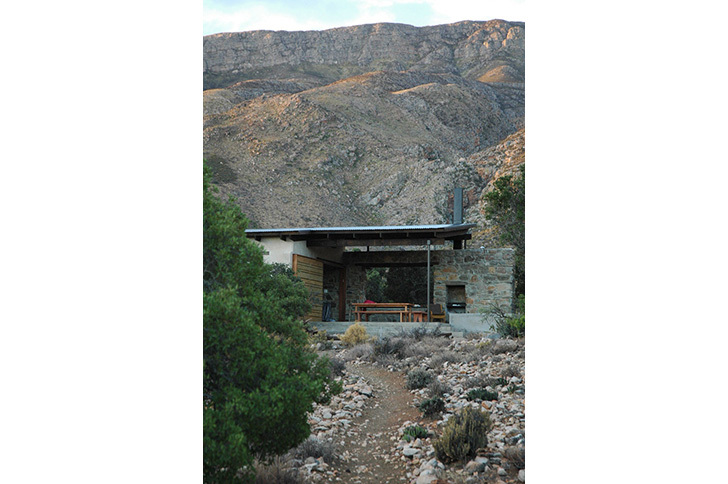 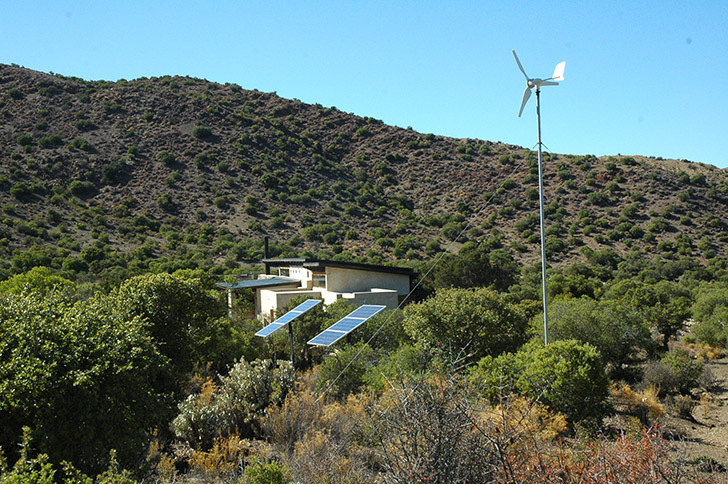 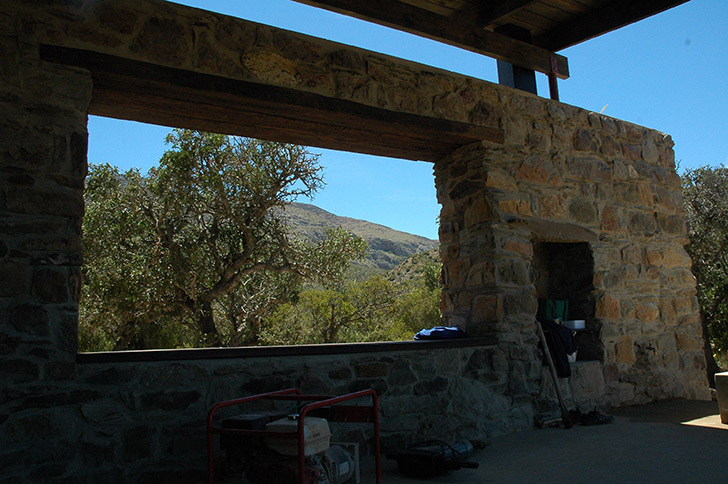 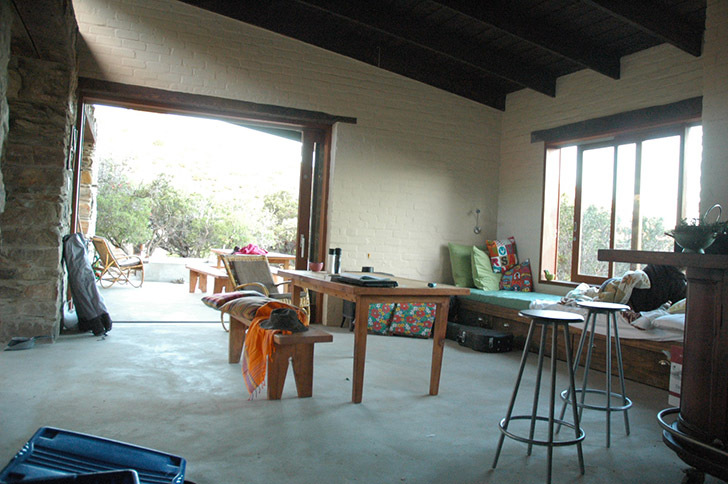 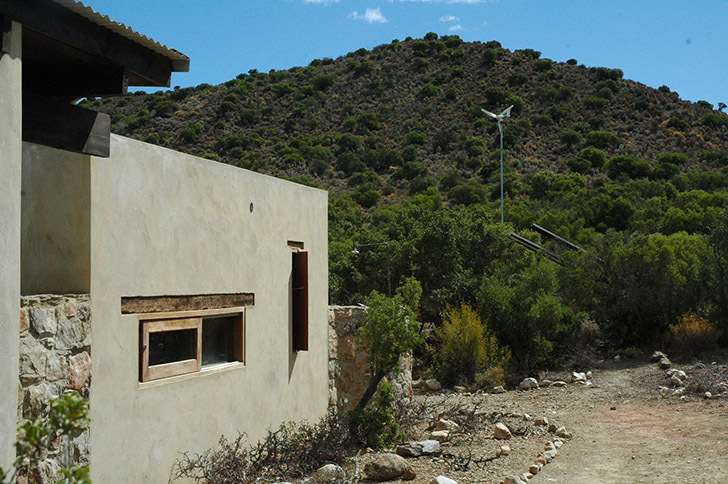 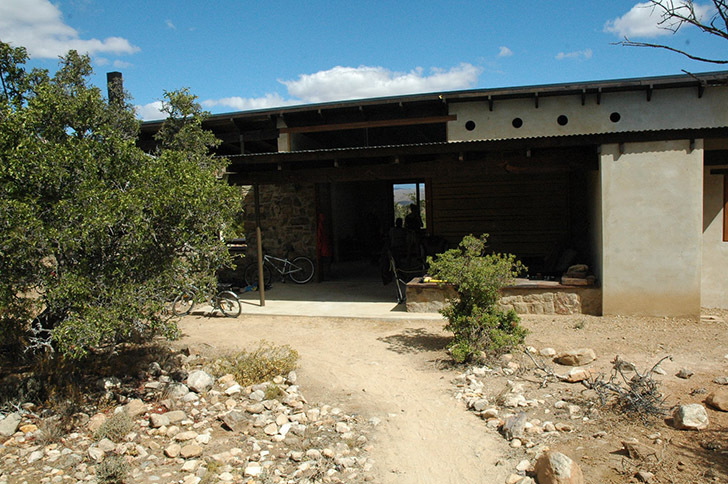 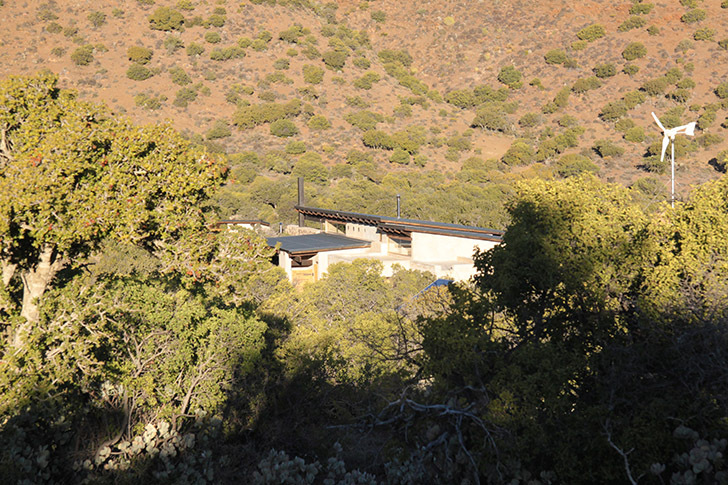 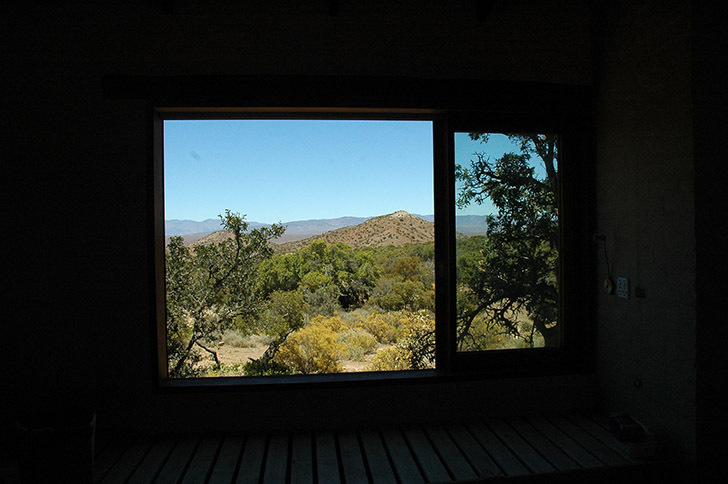 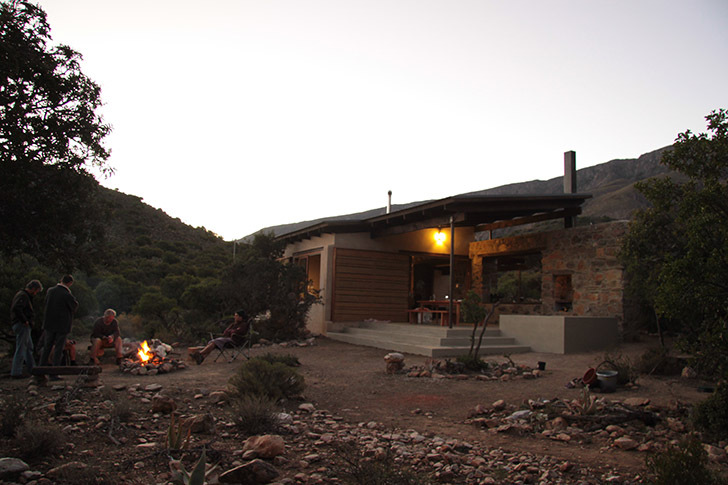 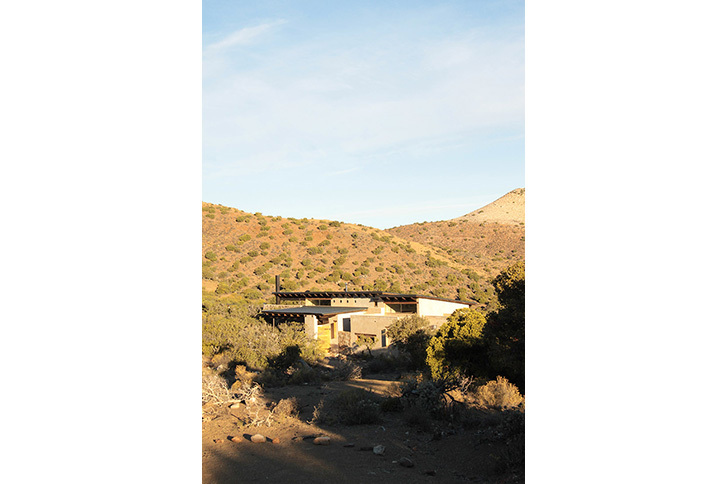 A low-slung retreat, off the power grid and in the succulent Karoo, this is a house that unfolds into the landscape. 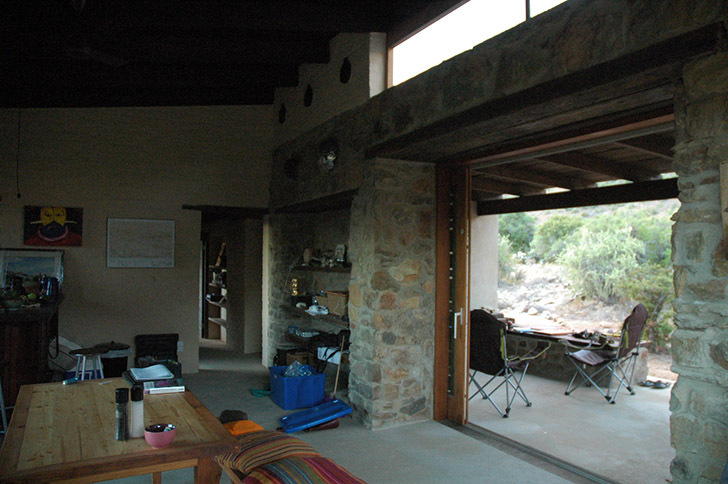 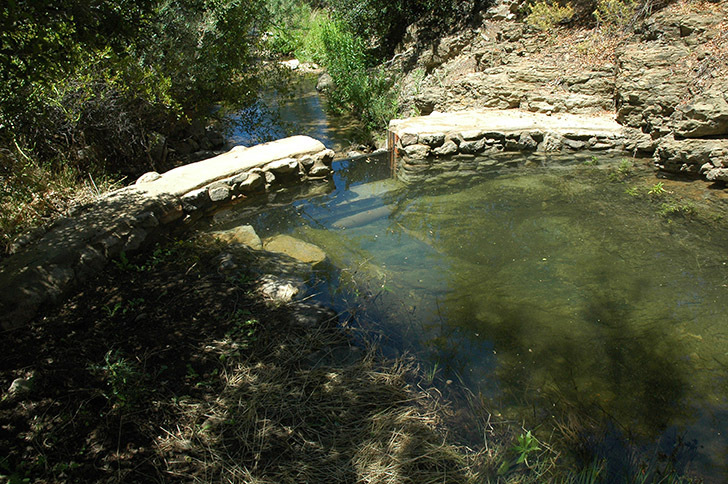 Built along a thick stone wall, all is heavily insulated to guard against the immense heat of summer and the bitter cold of winter. 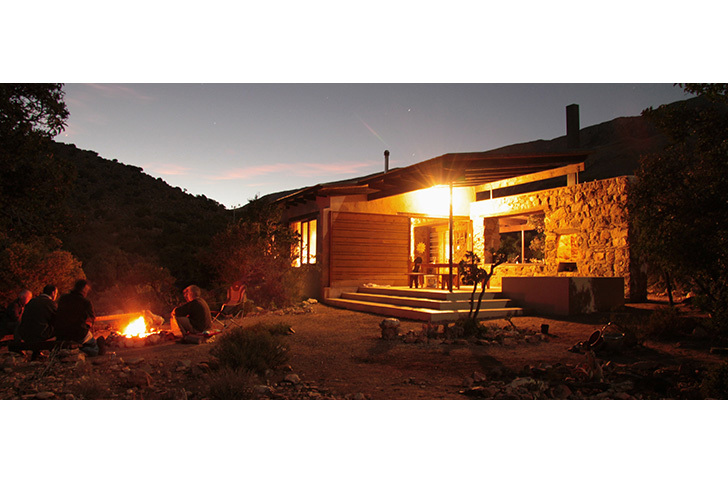 It’s a haven from the City, and the building edges onto an open air clearing, with the fireplace of a million stars at its centre.